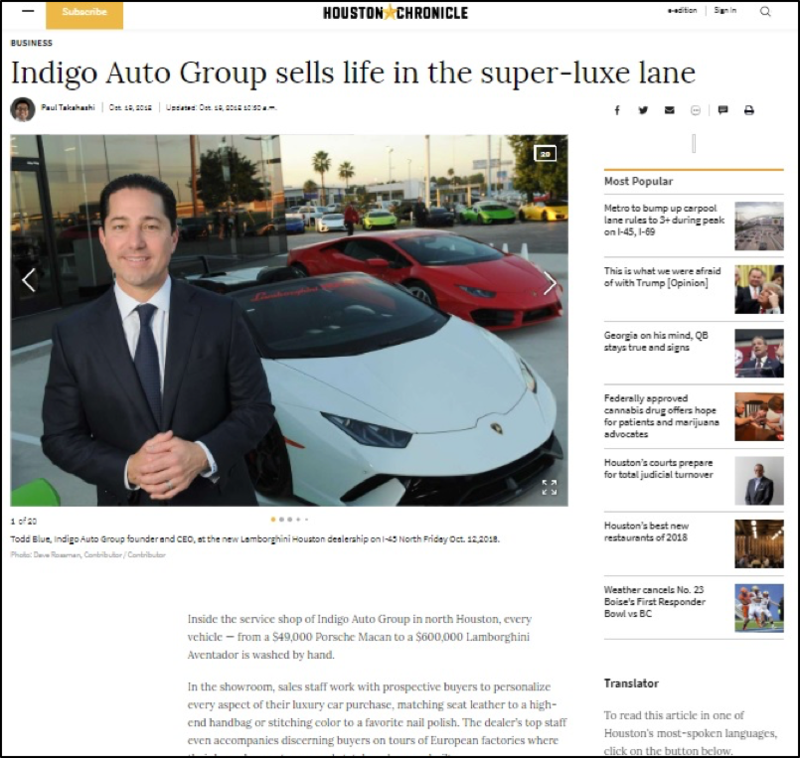 Having never secured media in Houston’s largest and most widely read daily newspaper, with our assistance, our client indiGO Auto Group made the front page of Saturday’s paper, which reaches two million people. 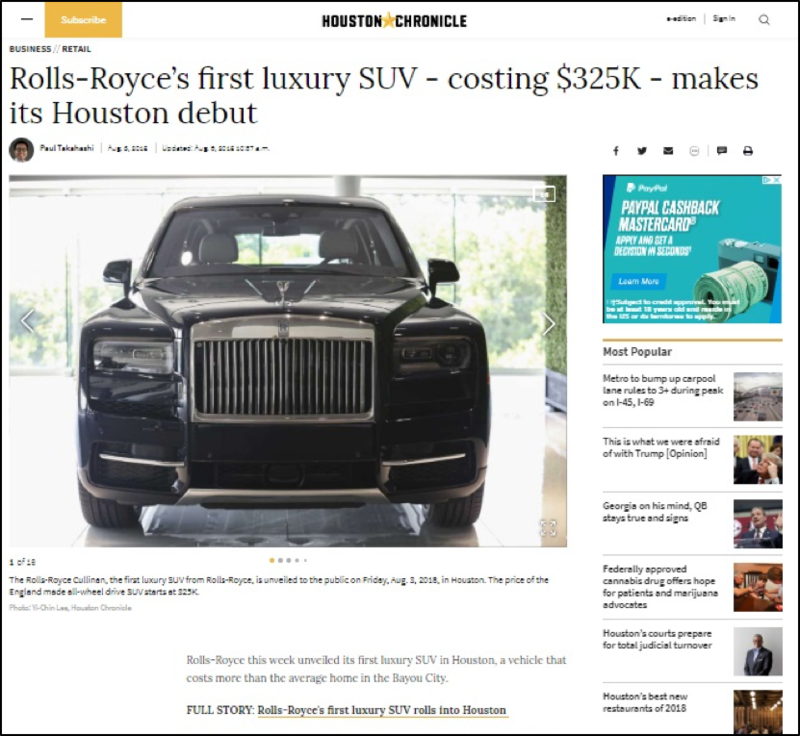 Additionally, we secured feature coverage of one dealership’s grand opening event in the Houston Chronicle. The Houston Chronicle is one of the most reputable and widely read newspapers in Texas.